When I started this series, this was the service I had in mind. Of all the maintenance that a car needs, this one is vital. In fact, I think I could just have the post of one word. YES! I would not do that to you guys. 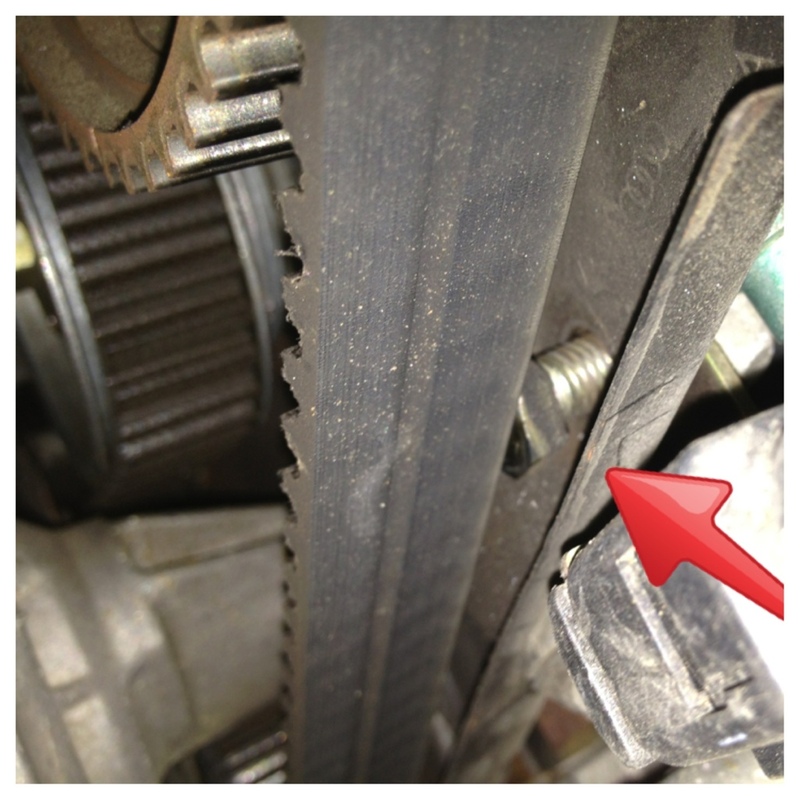 You need to know why you need a timing belt. Like most of the “Does My Car Really Need This Service” this goes beyond a VW. It will apply to all cars. 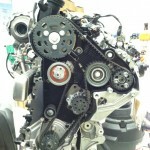 What is a timing belt. A timing belt car be a difficult thing to understand. Like I have said before, you don’t need to be a car expert to understand your car. A timing belt keeps your engine “timed”. It keeps parts in the top end, from hitting parts in the bottom end. Think of it like gears and a chain on a bike. With out the chain the gears wont move. A combustion engine needs it’s gears connected too. Imagine if your bike’s chain broke, you would not be able to pedal. The timing belt is just as critical. Some cars have other things that the timing belt does. Most VWs run the water pump off of the timing belt. Some of the TDI engines run a fuel pump with the timing belt. I have seen oil pumps, distributors, fuel pumps, water pumps, balance shafts by the timing belt. 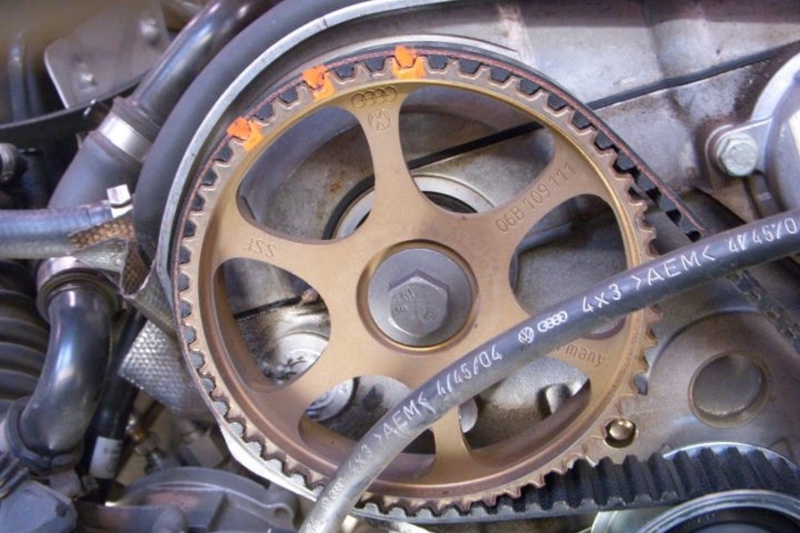 How can the timing belt break? 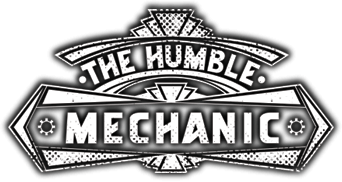 Before we can talk about what timing belt failure means, we need to talk about how they can fail. This is where the belt separates, like undoing your belt for your pants. I don’t think that I have seen a belt do this, but it’s possible. The teeth sheer come off the belt. Seized, or failed component in the belt circuit. There is also parts that keep tension on the belt. If a tension fails, it can cause the belt to be too loose. That can cause the belt to skip and become out of time. If a component seizes, it can rip the teeth from the belt. 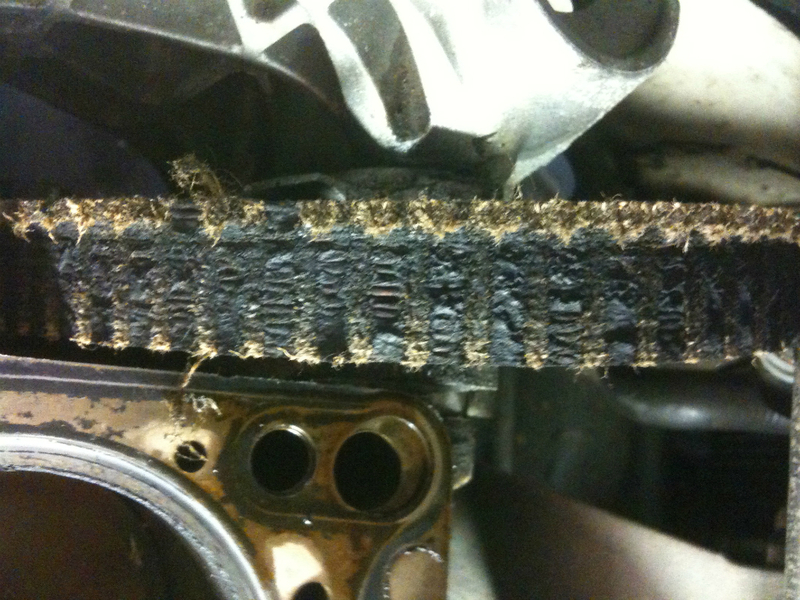 I have seen a few timing belts break due to outside influence. Whether it is damage from a wreck, or a bolt came out of the engine. Outside influence is bad news. Check out the picture above. The phrase “Possible catastrophic engine damage” is what I like to say. I have seen a few different things happen when a timing belt breaks or the belt circuit fails in some way(see above). This is rare. I have seen timing belts fail, I put a new belt on and the car ran perfect. One of the guys in the shop had a PD TDI that had no teeth on the belt. Somehow there was no engine damage. In cases like this, you need to replace all the parts on the belt circuit. When a belt fails, this is the worst case scenario. This is when parts in the top of the engine, the valves, crash into parts in the bottom of the engine, the pistons. If this happens it can cost a few thousand dollars to get repaired. It’s a lot of labor, parts are expensive, and you still have to put a new timing belt on the car. This can be a difficult thing. 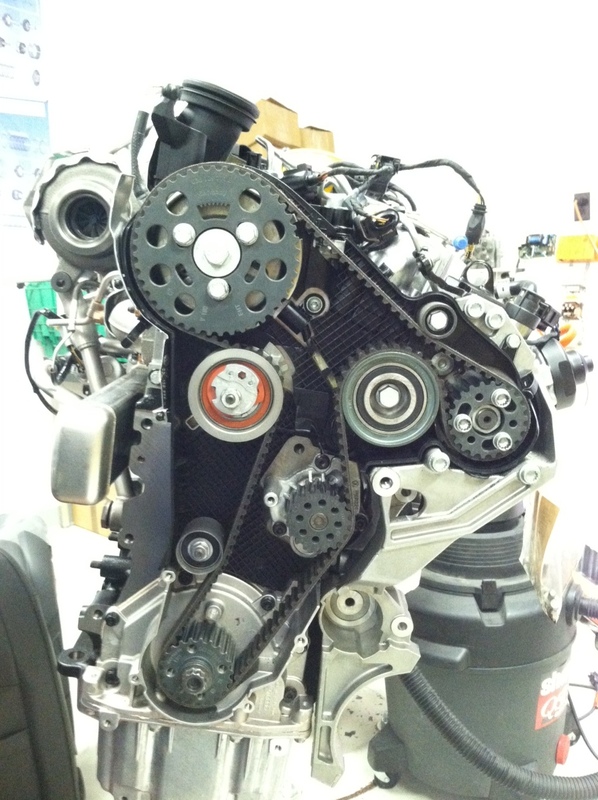 Timing belts are generally covered up to keep debris out. This can also make it hard to check your own belt. If you can get to the belt, you can do a little checking. Check the belt for surface cracks. Basically see if the belt is loose. This can be tricky. Find the section of belt that has the furthest distance between gears, or tensioners. Some belts have a spec, generally it is twisting the belt ~90 degrees. When tensioners and rollers go bad, they can make noise. They don’t always make noise. If they do, it is time for replacement. Leak, from a belt? Well not exactly. However leaks from a water pump, or an oil leak can damage the timing belt. If you have a belt that is saturated in oil or coolant, it’s time for replacement. This really depends on what car and engine. On 1999-2005 Passats, the front end comes off. Golf, Beetle, and Jettas are done by removing the engine mount. Some cars like the Touareg and Phaeton is just a matter of taking the fans out to gain access to the belt. Some engines have special tools to hold the engine in place. Others have various markings that get lined up. I prefer to line the marks up on the engine and paint my own marks on the belt. It just makes for a little insurance when doing a big job like a timing belt. So, do I really this service. This is a service that you can’t afford to pass on. If you wait, you are really run the risk of an expensive repair. Yes a timing belt replacement is expensive, but you can do 3 or 4 timing belts before having to pay for a cylinder head repair. I replaced my belt on my Passat about 20,000 miles before it was technically due. Please check your owners book regarding your timing belt. Then do it 10%-20% before that. Better 20,000 miles early than 1 mile too late. Timing belts are no joke. Pretty surprising on the TDI with no engine damage, I am assuming they are an interference engine. If you are lucky and have a non-interference engine, the parts can’t reach each other when the timing belt/chain fails, and you just need a tow home. Otherwise, not so much. If there was not pics to prove it, I would have never believed it. They ARE interference engines. I guess the belt was tight enough that it kept the engine properly timed. Even on non-interference engines, you may have damage. Our 2.0l engine is technically non-interference. I have found that you have a 50/50 shot at head damage. It really depends on the circumstances when the belt breaks. I have had a few that have broken, put a new belt on it, and it was good to go. I have also had a few where about half the valves got bent. I can second needing to get a timing belt changed after a water pump leak. I (rather foolishly) put some steel seal in the coolant in an attempt to “repair” a porous cylinder head (BKD engine, minor leak, but still needs fixing), and whilst it worked, it also ate the water pump seals. Coolant sprayed all over the belt. At the time I thought the belt would still be good to reuse as it had under 1000 miles on it, just replace the water pump and we’re good to go, right? Nope, the belt went slack after about 100 miles, fortunately I was inspecting the tensioner indicator on a daily basis, so caught it in time. Car has new belt and water pump and no steel seal in the cooling system. I can only assume that boiling hot coolant weakened the belt enough to cause this to happen, all other parts of the belt drive were renewed and fitted to VAG specs.